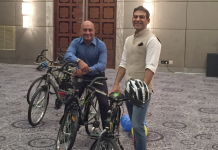 Home Startup Stories All Stories This Entrepreneur Found a New Way to Indulge Your Tastebuds! 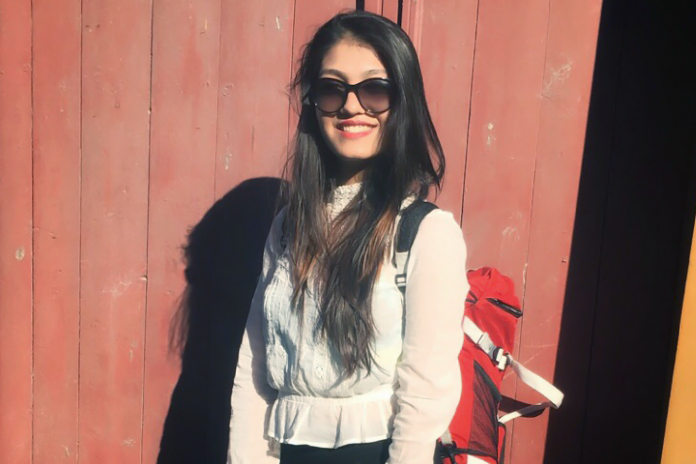 Vedika’s entrepreneurial instinct persuaded her to launch a unique food product in India! 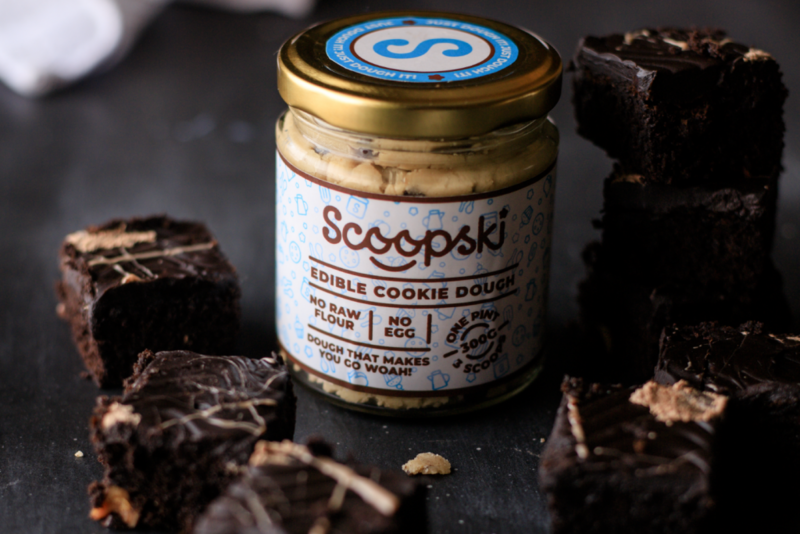 Scoopski, her brainchild, is the first brand to introduce edible cookie dough in Indian market. What’s so special about this product? Well, you can have it in whatever way you want- straight from the jar or as baked cookies! Made with the best of ingredients, the cookie dough, which comes in a mosaic of flavours, is free from preservatives, raw flour and egg. So, it doesn’t disturb your healthy diet too! Scoopski has amassed a decent customer-base within a short span of time. 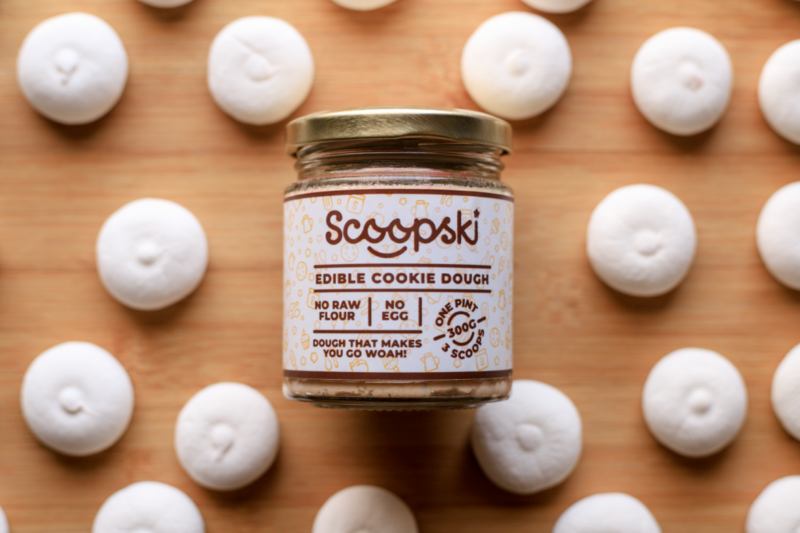 Inspired by the edible cookie dough parlours in the US, it has now a popular product among foodies, especially millennials! Did Vedika face any challenges while launching Scoopski in a huge market like India? How does she promote her product? Let’s find out! The seeds of Scoopski were sown when, on an exchange trip to the USA, I spotted a new trend rivalling the ice cream parlours- Edible Cookie Dough Parlours! Back in India, I was trying to wrap my head around bringing this trend to the country, while simultaneously avoiding the time lag of opening up brick and mortar spaces. 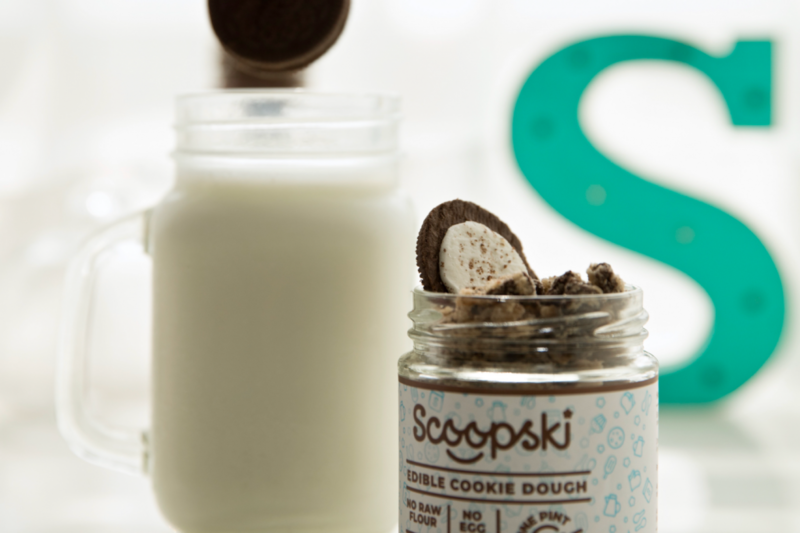 After some brainstorming and several mishaps in the kitchen, Scoopski was born! A product of this nature doesn’t really have a restricted market. 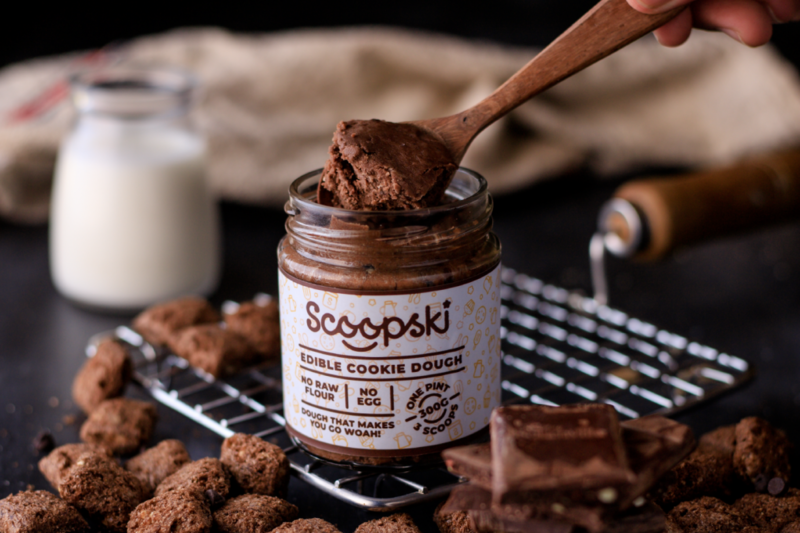 Scoopski caters to that elusive, magical generation of ‘millenials’ that all marketers strive to catch, and at the same time it serves as a great solution for all the working couples who do not want to take the effort of whipping up something from scratch on a date night. We bring ease into every household, which is why we call ourselves a Happy Household staple. India being one of the youngest countries in terms of demographics with the added spice of being the food haven, this concept is perfectly poised to succeed here! I come from a family of entrepreneurs and businessmen, hence my entrepreneurial drive was apparent to my parents from the very beginning. When I spoke to them about starting Scoopski, they didn’t bat an eyelid before giving me the go-ahead, however, they stressed on the fact that my business should be completely bootstrapped by my savings, at least initially. I make terrible mistakes every single day, but hey, it’s all about being on the field and learning from your mistakes right? But one major lesson I got in these past few months of operations is to not leave anything for the last moment. Procrastination might just sound like a casual term, however it takes a major toll on overall balance of your company, if indulged in regularly. Days become months, and months become years, in a flash. I won’t call it an obstacle but the biggest task in the next twelve months is to build a national sales and marketing team which will facilitate our retail operations in various cities we stock up our products in and also help generate consumer awareness about the multiple utilities of Scoopski. The art of being motivated all the time, is not something that comes easy and for that, you need a support system that will pick you up when you fall while also being your harshest critic. I attribute all that I am to the people I have chosen to keep beside me, in whatever capacity and developing this queer eye to spot the right people has majorly contributed to my success. Also, the well educated choice of not listening to my mind and always listening to my tummy, has been majorly instrumental in me starting my company. All you foodies out there will get me. I probably would have started it sooner if I could, but I wouldn’t do anything differently since everything I have done along the way has contributed to where I am and where I’ll go. Written by yours truly *bows*. Inspiration can be found anywhere and everywhere, only if you have the eye for it. My inspiration stems from my ambitions. Picture yourself 10 years from now and if that version of yourself doesn’t make you get up from bed and hustle everyday, then probably nothing will. ‘The Art of Thinking Clearly’ by Rolf Dobelli. I find myself going back to this book all the time. Firstly, EVERYONE should to start something of their own in whatever capacity they can, be it a small community of 2-3 like minded people sharing positive thoughts or an entire company of sorts. It’ll develop your self esteem in ways you couldn’t imagine. Secondly, never stop the hustler in you even if it is not being recognised. Baby steps will get you a long way. Lastly, treat everyone, from the daily wage labourer to the big bill CEO, with the same amount of respect. Collective goodwill is the biggest asset you and your company can have. 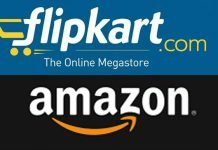 It is not easy to launch a new product in a highly competitive market like India. 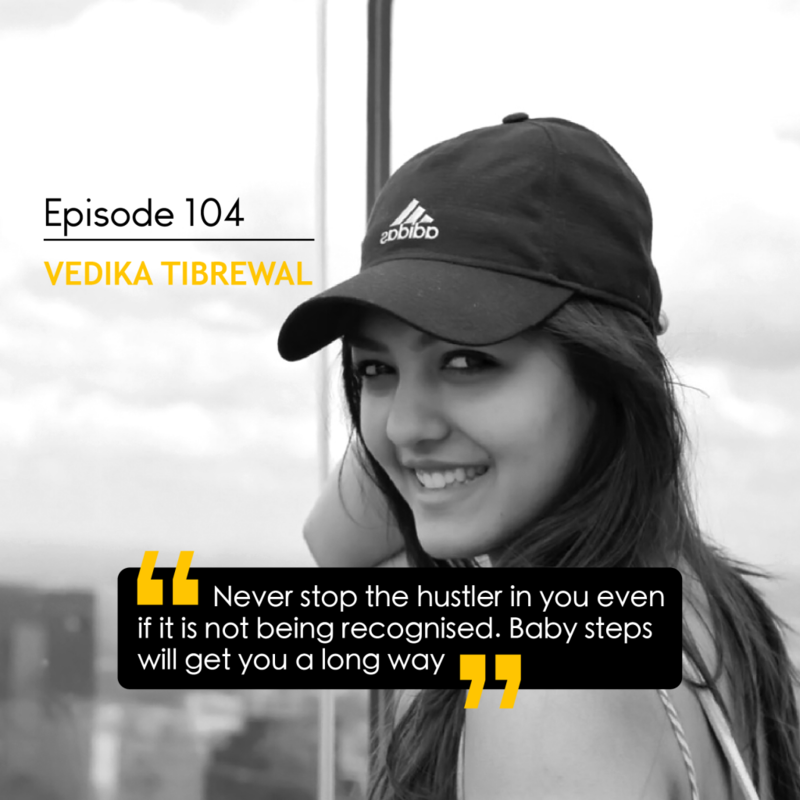 Vedika took up that challenge and succeeded in finding a unique space for her product. She positioned Scoopski at the right place and implemented smart marketing strategies to popularise it among youngsters. Instead of large marketing campaign, Vedika resorted to promote Scoopski through some carefully selected channels. She gave her product to a number of cafes and coffee shops. 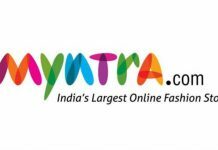 It helped her elicit genuine feedback from customers. Now she is all set to take Scoopski to next level as she seeks to build nationwide retail operations. We wish her all the best!